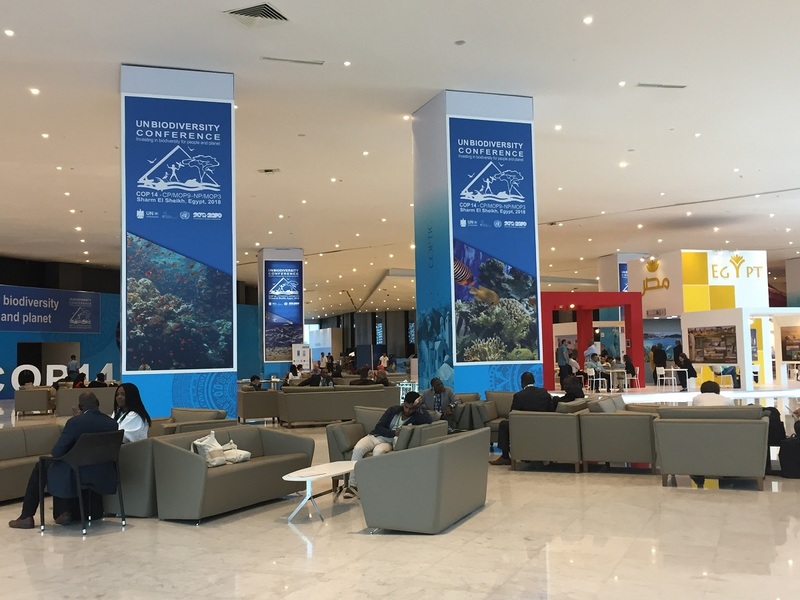 The 14th meeting of the Conference of the Parties to the Convention on Biological Diversity (CBD), and the third meeting of the Parties to the Nagoya Protocol on Access to Genetic Resources and the Fair and Equitable Sharing of Benefits Arising from their Utilization is taking place from 13-29 November. The side event was co-organised by the Peruvian Society for Environmental Law, and the Geneva-based International Centre for Trade and Sustainable Development. It particularly looked into the need to develop a Global Multilateral Benefit-Sharing Mechanism (GMBSM), mentioned in Article 10 of the Nagoya Protocol [pdf] on Access to Genetic Resources and the Fair and Equitable Sharing of Benefits Arising from their Utilization to the Convention on Biological Diversity. According to Joseph Vogel, professor of economics, University of Puerto Rico-Río Piedras, speaking at the side event, there has been an economic rationale for an urgent need for a global mechanism (Global Multilateral Benefit-sharing Mechanism [GMBSM]) since the adoption of the CBD, which only became more pressing over time. The economics of information justify an economic rent for artificial information through limited-in-time monopolies, such as intellectual property rights, and also justifies an economic rent for natural information through limited-in-time oligopolies, such as the Global Multilateral Benefit-Sharing Mechanism, he said in his presentation. He added that natural information is dispersed over taxa, and organisms are dispersed over jurisdictions. The solution for digital sequence information is “bounded openness,” according to Vogel, who presented core elements of this concept. The first condition of the concept would be unencumbered access, he said, and a simple disclosure of natural information (another name for digital sequence information) in IP applications, on a yes or no basis. Royalties would be charged upon commercialisation, and first-round cost estimates would be made to determine taxonomic diffusion. Second-round estimates would be done to determine geographic distribution, and if the thresholds of revenue in both cases are not met, the benefit-sharing would go to taxonomy, if the threshold is met, then benefit-sharing would be distributed between the countries of origin, according to Vogel’s presentation. The benefit-sharing obligation would be extinguished with the intellectual property protection, he said. Klaus Angerer, lecturer at the Justus-Liebig-University Giessen, said natural products remain an important source of new drugs. Although the pharmaceutical industry uses natural products, there are almost no access and benefit-sharing agreements publicly known, he said. Rather than being a sign of misappropriation, he said those natural products are acquired through intermediary actors, such as academia and small companies. Major pharmaceutical companies have stopped actively pursuing natural products for research, and mainly rely on natural products and derivatives coming from past collections, or screening campaigns, he said. Angerer gave the example of a small European natural product company which isolates and sells pure compounds from plant and microbial samples to clients in several industries, including pharmaceutical, food, and cosmetics. No intellectual property protection is sought for the sold compounds, and no further obligations rest on clients, to whom no disclosure of origin is provided, except for research and development projects, he said. Benefit-sharing only occurs above a certain threshold, usually not met when selling isolated natural products, he said. Even for R&D projects, tracking the further use of natural products or derivatives by clients is not possible, he said. He further remarked that industry already views natural products as being more expensive, and time-consuming than synthetic compounds, and more stringent access and benefit-sharing rules in the bilateral system might limit the use of natural products, he said. Under the “bounded openness” principle, he said, the use of natural products might become more attractive, giving easier access, lower transaction costs, and might providing more royalties and more incentives for conservation in the long term. It would also provide a more equitable benefit-sharing, he said, as many natural products occur in various species, living in different countries. The benefits would be shared among all those countries, he added. Nicolas Pauchard of the Public Policy and Sustainability Unit at the Swiss Graduate School of Public Administration (IDHEAP), University of Lausanne, said there are few access and benefit-sharing national laws in force globally, and very few applicable provisions, in particular for genetic data. Most access and utilisation happened before the entry into force of access and benefit-sharing laws, he said, adding that providing countries rarely are the countries of origin. He identified the benefits of a bounded openness compared to current hurdles. For example, he said in his presentation that bounded openness offers a system with no transaction costs for intermediary uses and “drastically reduced for final use.” It would also allow a free flow of information. At the moment there are very few links between intellectual property rights and access and benefit-sharing. Bounded openness would oblige IP applicants to disclose whether natural information was used in a very straightforward way, he said. Bounded openness would also solve the lack of monitoring of checkpoints, he said, since patents are effective monitoring checkpoints. Answering a question before the event about how the system would work if companies chose not to patent their invention but chose trade secrecy, Vogel told Intellectual Property Watch this question remains open. Trade secrecy is a dangerous way to protect inventions because of the reverse engineering possibility and the speed at which science is progressing he said. Bounded openness would also allow the fair sharing among every country of origin, he said. However, some challenges would have to be overcome, such as tweaking patent laws, negotiating fixed royalties percentages for the sharing of benefit, and deal with political and psychological resistance to the system, he added. Amber Scholz, scientific deputy to the director, DSMZ (German Microorganism Collection), said the collection has about 10,000 customers, and all items received are checked for Nagoya compliance. The current bilateral system of access and benefit sharing actually prevents the sharing, she said. DSMZ sent some questions to 40 international biodiversity research projects with an average project length of three years. According to the responses, it could take an average of 13 months to get an agreement, so about a third of their research time. “That is pretty disastrous,” she said. Microbes are responsible for one-third of all patent applications, she said, adding that there is no known biodiversity hotspots for microbes. Establishing a dual system at the same time bilateral for genetic resources and multilateral for information would be a “paralyzing catastrophe for research,” she said. Pierre du Plessis, access and benefit-sharing advisor for the African Union, also representing Namibia at WIPO, and a long follower and actor in the CBD and Nagoya Protocol negotiations, said there is no appetite anywhere for giving up sovereignty rights and leaving the bilateral system. He cautioned academics not to align themselves with industry, which he said use the scientific arguments they need for free access. The research community could come out strongly supporting benefit-sharing, he said. Scholz replied that academics are handled the same way as industry and so are facing the same issue as industry. "Economically Sound And Fair Global Genetics Benefit-Sharing System Possible, Panellists Say" by Intellectual Property Watch is licensed under a Creative Commons Attribution-NonCommercial-ShareAlike 4.0 International License.